She woke up with a jolt to her friend’s voice sounding afar, “Wake up lazy bones, you are going to be late for the lecture”. Sleeping in on a lecture day was a very bad thing to do and Arya rushed to make up for the lost time. She and her friend somehow made it in time to get their favourite last seats. The lights dimmed and a boom voice started talking. As her friend returned to her phone to search in Google the meaning of that phrase, Arya leaned back in her seat and the voice from the mike faded. Though it is a simple question, it always feels like a hot fire poker was rammed at my face. I am fine, I live today because you were not saved first, because I was. It is all my fault to have asked for a morning walk; my fault to have chosen the beach on that wretched day; my fault to have been unaware of the early morning’s earthquake. I am sorry, I killed you. “Don’t you blame yourself for something that is not in your hands to control. Take care and bless you!”, she smiles. As I reach out to her, the dream dissolves. Before commencing, it is mandatory to say a word or two about these FS. They are basically the rowdies you see in movies, but just clean-shaven, attired in starched white shirt and black trousers. V was walking along the corridor with his usual I-have-no-clues-where-I’m-heading look in his eyes and a casual strut. FS: Thambi, lace seriya katla! Class ku porathukku munnadi seri senjutu po pa. When V was busy tying lace, a girl just walked past him. But as things always don’t happen that simple, she walked back to him. She handed V a chocolate bar from the box she was carrying. FS: Thambi, innum nee classroom kulla polaya. Enna anga pechu, girls-boys pesa kudadhu nu unakku theriyadha. V: Enna sir, oru chocolate dhane. Naan vera inniku lunch sapadla. Marubadiyum karappanpoochi irundhuchu. Please oru vaati vitrunga. FS: Enna pa kalaikariya. Idhellam seri varadhu. ID card kodu, mathadha aprom paathukkalam. Now, to explain the ritual called taking away the ID card. These people devised an ingenious method that whenever you enter the college without ID (forgotten/stolen/confiscated from you like in this case) you need to pay fine. Since a confiscated ID card is mostly impossible to get back, you end up paying fine forever, or writing an apology letter and getting the card back and paying fine through all this drama which might take months. That was when V realized his phone was vibrating in his pocket. FS seemed to have realized as much. FS: Phone ah kodu pa thambi. FS gang oda leader (who enters the scene by then): Poda dei… Poi apology letter ezhudhi eduthutu va. Aprom phone lam thirumba kedaikadhu. Parents kootitu vandhe na SIM vena thirumbi tharadha pathi yosikkalam. Ahem, idhukkum fine sethu kattidu, illana hall ticket prachanai aidum paathuko. (to the girl) Neeyum apology letter ezhudhidu ma. Solla marandhutene – Happy Birthday. Classmate: (whispers to V) Machi dark room la adi vangama thappichaye nu sandhosa pattuko! I have come across quite a few posts on train travels, incidents and the likes, but nothing could give you the experience of travelling in a suburban train’s Ladies compartment. I am such a lazy person that I seldom get to catch the Ladies special train in the morning. So it is one of these 4 compartments in a general train that I have to be. And everyday gives you interesting people and new experiences. You just have to be seated and observe. Now, did I just say seated? Sorry. The time when I start is when thousand other Chennaiites start to work, hence standing with some breathing space is itself considered luxury. I sometimes wonder if we should have the elevator signs for the number of persons capacity, here too. To add to the annoyance are those ladies who sit…. i repeat, sit in the entrances. Yes, they are travelling all the way from some remote part of Chennai, they are old, they have children, they are eating… yes the reasons are acceptable at times. But lady, when the rest of the crowd is busy finding place to even keep one foot, you can’t just sit there not budge even a bit. When someone in public plays random songs on their mobile speaker, don’t you sometimes feel like telling them, “Excuse me, they have invented something called earphones just for this purpose, we are really not interested in listening to songs now, thank you” !? Well, when a group of women fish out their books and start singing hyms together, invariably louder than the song that you are listening on your earphones, you cant suggest that alternative either. Then there are these hawkers selling fruits to flowers to passport covers and what not. Believe me they have a special attachment to the ladies compartment. Especially the gypsy girls who come with a wire-moulded-into-a-stand full of accessories are worth a mention. They might look dirty, but if you notice closely, you will know they have taken pains to try new hairdos, flashy skirts (though patched) and so many colors on them that would make the Hilary Swank in the National Park scene of P.S. I Love You look dull. Forget what we mean by “rail sneham” in general, some of the friendships developed between these daily commuters are a bond for eternity. It is nice to know you can help each other out holding seats or SMSing when the train is in the previous station. There are aunties who diligently reserve a bunch of their daughter’s wedding invitation for these train friends. Such important are certain friendships. Worst case, there is at least a company to talk to through the journey. Another year has gone by and its December again. 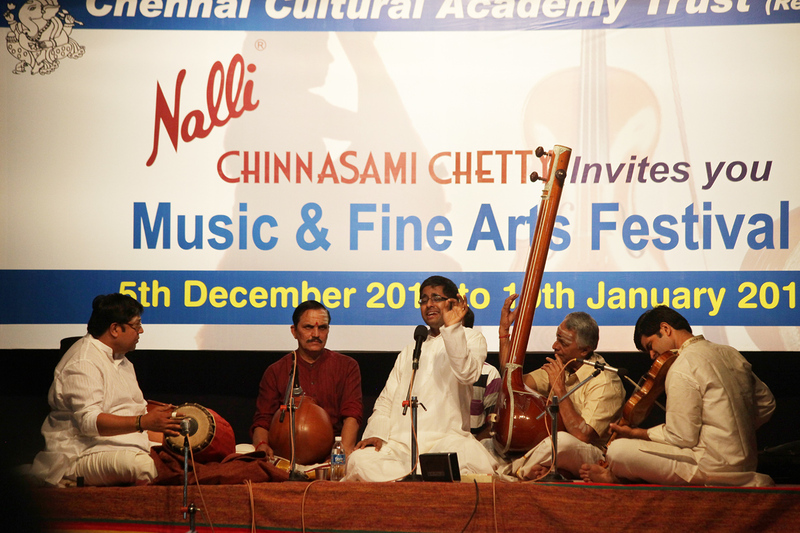 To a music enthusiast and a Chennaiite especially, this is the time of the year of concerts, Classical music, and much more! In short, it is the season!!! So if you are new to the overdose of music that happens at this time, here are a few pointers. There is something called the concert life cycle that any singer/performer must undergo. Let us say it comprises of three main phases, though some might say five. So we get to choose from this repertoire of musicians to hear from. Whom all do we choose in the end? A question that has been crooning at the back of my mind time and again these days – the art or the artiste: what or whom is appreciated? Why do you go to to a particular concert? The acoustics of the auditorium – Previous performances listened to – Patantharam (this is one of the most important things in history of Classical music) – intention to innovate. This intention to innovate against an artiste’s choice of rendering an already popular song is another topic of discussion. Does the famous singer make a song popular? Or does the popular song make the singer famous?